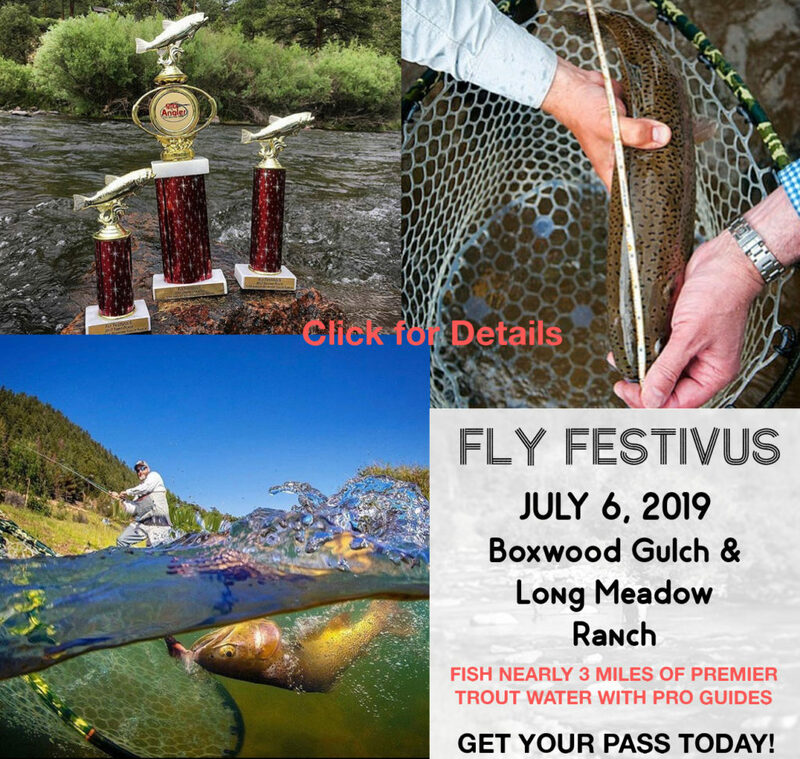 Home » 2019 » January » 06 » 2019 Fly Festivus: A Festivus for the Anglers of us! 2019 Fly Festivus: A Festivus for the Anglers of us! Get ready for FLY FESTIVUS: A FESTIVUS FOR THE ANGLERS OF US! This special event will be held at BOXWOOD GULCH and LONG MEADOW RANCH on July 6, 2019. PASSES ON SALE NOW! What is FLY FESTIVUS? This incredible angling occasion is a guided fly fishing tournament, gourmet meal, and more! You will fish with pro guides on nearly 3 miles of premier private water for trout you won’t forget! At the Fly Festivus Meal, you’ll enjoy a hot gourmet lunch at Boxwood’s luxurious streamside clubhouse and patio, complete with beer, wine, soft drinks, and delicious desserts. No Festivus occasion would be complete without the FESTIVUS POLE! In our case, it’s A FLY ROD GIVEAWAY! Bring your best (or worst) fish stories to share as we “air grievances” during our après fishing cocktail hour, award ceremony, and prize raffle. This event was built for fans of Boxwood and Long Meadow, as well as for those looking to get a true taste of what both these legendary properties have to offer. Individual anglers, pairs, and groups are welcome, as are anglers of all ability and experience levels! You’re welcome to bring your own fishing equipment, however all necessary equipment is also included with the purchase of your pass. Space is limited for this inaugural event, and we expect to sell out very quickly!